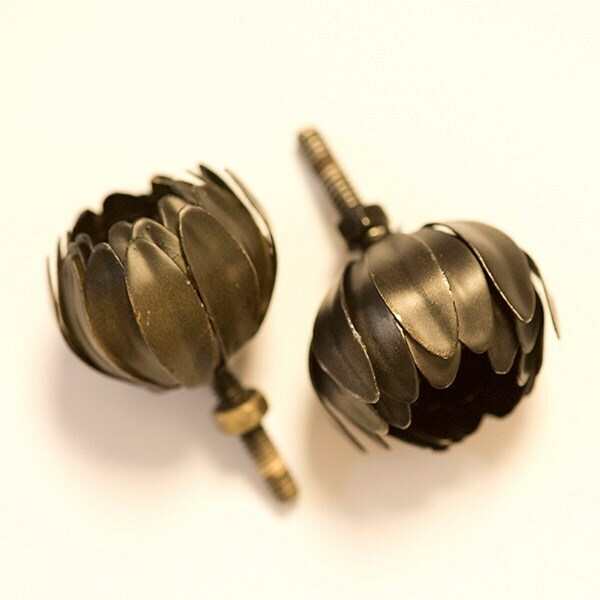 These decorative flower doorknobs bring a touch of the garden indoors. Made from steel with individually moulded petals, the flowers are mounted on a threaded rod for easy fitting. 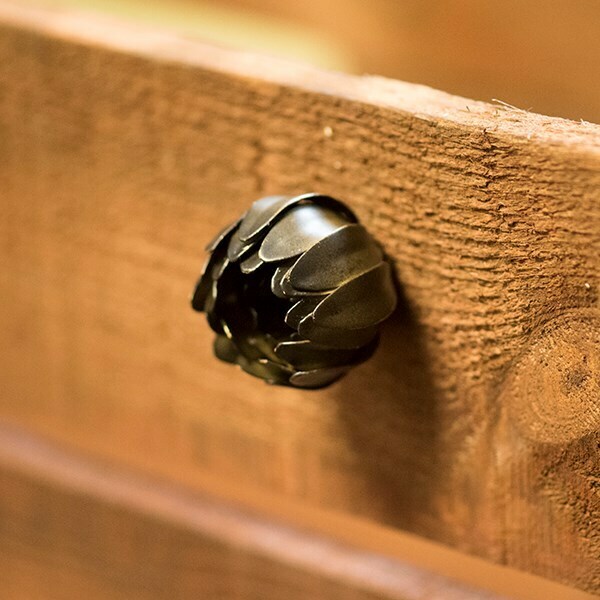 They simply screw into place to breathe new life into old wardrobes, cabinets and drawers, or add a decorative touch to interior or shed doors. Available in a choice of antique brass or antique bronze (sold separately).